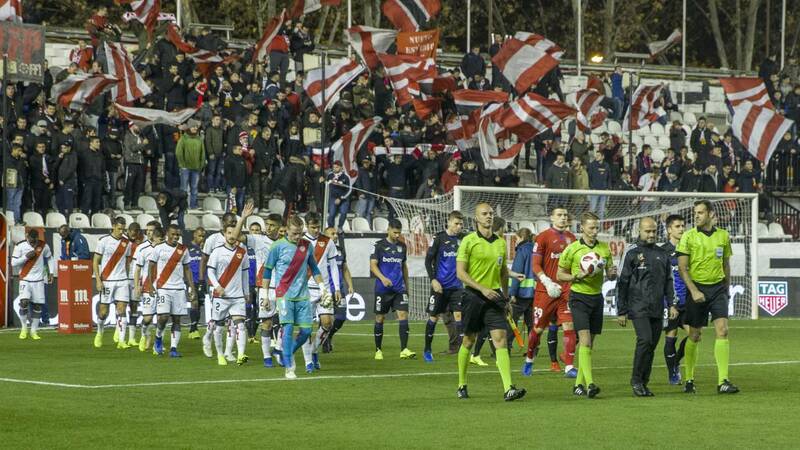 The fans of Leganés who want to go to Vallecas next Monday (21:00) to see in the visitor sector the match (final) between Rayo and los pepineros must pay 35 euros per seat. This price, fixed by the franjirroja directive, supposes an increase of 15 euros more with respect to the 20 that had to pay the vallecanos to see in the visiting sector the duel of the first round played in Butarque. This increase (a 75% more expensive) has caused a deep malaise in Leganés. Although there was no pact to fix the price of the tickets of the game that was played south of the capital, the usual First Division is that both teams agree the same price for both duel. The usual exception is Athletic, but it is a circumstance that, by repeated, has already become a habit in LaLiga. It is understood in Leganés that this Rayo's decision is to prevent the pepineros fans from appearing to cheer theirs in this momentous match for the permanence of both teams. A significant loss of support since, due to the proximity of the destination and the importance of the duel, it was expected that many blue and white fans would move to watch the game. Even being in a late schedule of a working day as it is on Monday. El Leganés has not yet made the official ticket price, although it is expected to announce breve the measure of Rayo Vallecano, this increase of 75% of the ticket price with respect to the clash at Butarque.